Offshore Patrol Vessel designer, Lürssen, has teamed up with Australian engineering and construction firm Civmec in a joint venture to create the Australian Maritime Shipbuilding & Export Group (AMSEG). 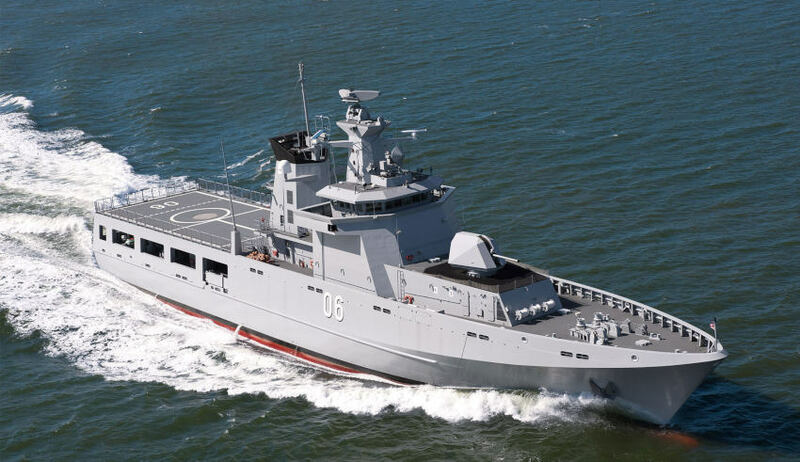 It is intended that AMSEG will play a significant role in the build of 10 OPVs in Henderson, Western Australia and in driving an export shipbuilding business that will target opportunities around the region. The joint venture will be chaired by former Chief of the Navy, Vice Admiral (Ret'd) Chris Ritchie. "This new company will be governed by an Australian board and operate under Australian management to build world-class naval vessels in best practice Australian shipyards,” Ritchie said. "We will invest in Australian skills and infrastructure and transfer expertise from SEA 1180 prime, Lürssen Australia, to develop capability and support the foundation of a sustainable naval shipbuilding industry that is able to export to the global market." Executive chairman of Civmec and AMSEG director Jim Fitzgerald said the formation of the new company was further evidence of the commitment the SEA 1180 industrial team had made to materially growing Australia’s shipbuilding industry. "This is a huge step forward for Australia’s shipbuilding industry. It is an exciting development that will fully underpin the development of the new state of the art shipbuilding facility at Civmec’s Henderson headquarters," Fitzgerald said. Tim Wagner, managing director of Lürssen Defence and AMSEG director, echoed these sentiments. "Lürssen has always believed in the vision of the Australian government’s Naval Shipbuilding Plan and wanted to not only be a part of it, but to help make it a reality," Wagner said. "We set up Lürssen Australia in May 2017, today we have announced this important joint venture and later this year we will open applications to our program, which will fund scholarships and apprenticeships for aspiring Australian shipbuilders. The future of Australian naval shipbuilding looks bright." West Australian-based Civmec will soon list on the Australian Stock Exchange.